Australian brand Knog first came to everyone’s attention with their award-winning silicon ‘Frog’ lights, which at the time was a pretty revolutionary product. I remember a time when pretty much every single person I knew rode with these colourful little snap-on lights, and back when I lived in London I found them really useful. But that was then, and not only do I now live in a place with virtually no street-lighting after dark, I’ve become a lot more demanding when it comes to bike products, as have many of the people who first became interested in cycling through riding fixed gear in the city. Knog have moved with the times, and along with their incredibly modestly priced little ‘Frogs,’ they now offer what I would term ‘real lights,’ or rather something that actually lights up the road allowing you to see where you’re going. 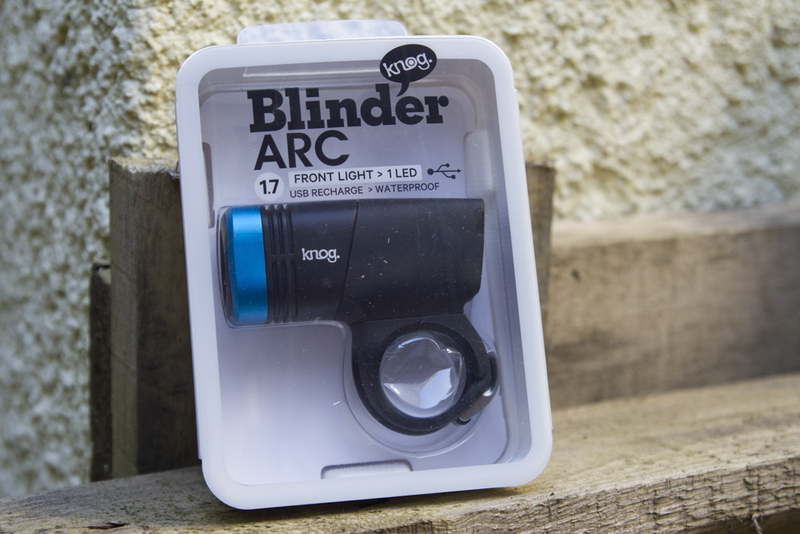 I’ve been riding with the Knog Blinder 3 over the winter, and been raving about them to anyone that’ll listen, such is their brightness. But content though I am with the lights I already have, when Knog offered to send over a couple of the Blinder Arcs, I couldn’t resist giving them a go. Well, I’m hardly going to say no, am I, so I got my little mitts on the new Blinder Arc 5.5 and the Blinder Arc 1.7. Both feature waterproof construction, tool-free silicone mounts, battery indicators and an integrated USB plug for recharging. They also don’t turn themselves on in your bag, as you need to press and hold the on/off button for several seconds. 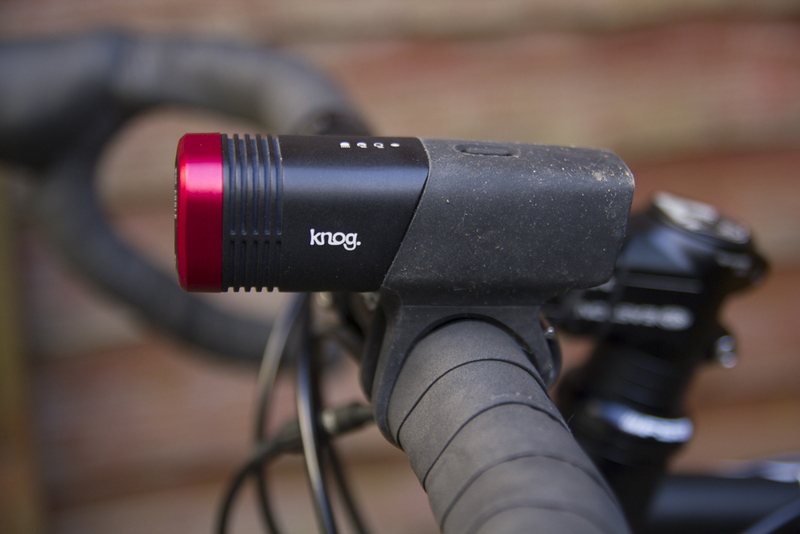 First up, the 5.5 which delivers a whopping 550 lumens without looking like crap – some high power lights seem to ignore aesthetics entirely, but Knog have produced a refined shape and design that looks smart and wasn’t out of place on any of my bikes. Charging time is seven hours, and once fully topped up, the Blinder 5.5 delivers 1.8 hours on the brightest setting, 3.5 hours on medium, 7.9 hours on low and 17 hours flashing. 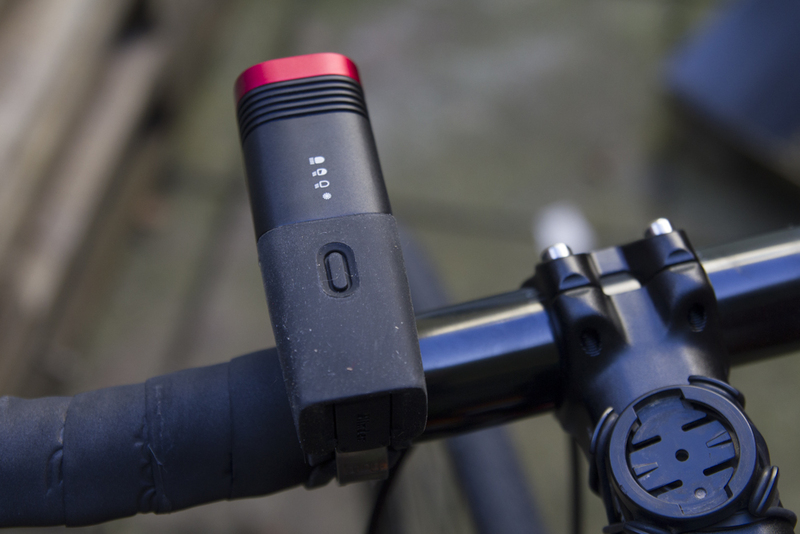 Knog’s Constant Current Drive Technology allows to light to operate to it’s full ability right up until the battery has run down, which means the light doesn’t become dimmer as you run out of power. I really like this feature, but it does mean you need to keep an eye on the battery indicator as otherwise you won’t notice you’re nearly out of juice. The ease of mounting is one of my favourite things about Knog lights, as I find it a ball ache taking brackets on and off my bars (yes, I am that lazy). Two interchangeable silicon straps allow the bike to fit on regular or oversize bars, plus you have a strip of foam to stop the lights wiggling around on your bars. The strip of foam looks crap though, and ain’t going near my bike, even if I occasionally have to deal with the odd bit of slippage. The light also comes with a helmet mount, which is really, really good as it attaches easily without using any adhesive. It’s totally pitch black at night here, and riding without adequate lighting is really sketchy. So thankfully, the 5.5 is really incredibly bright, lighting up the entire road with an even spread and no hotspots and it’s strong enough to shine out far ahead of you so that drivers around a corner can tell that you’re coming. Overall, I’m a big fan, and my only complaint would be that the silicon seems to attract dust that’s really hard to remove. It’s a shame, as it detracts from the sharp look of the Arc lights. 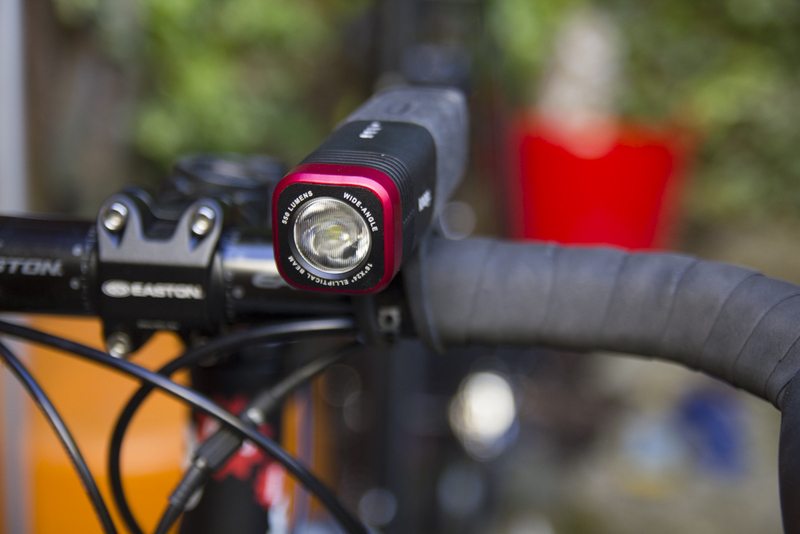 The Arc 1.7 is a more compact version of the 5.5 and offers 170 lumens of light, which Knog claim can be seen by people up to 1km. I wasn’t able to verify the truth of that, as there aren’t many people out and about down the country lanes at night, but the 1.7 did a good job of helping me see where I was going. As it’s lighter, and more portable than it’s big brother, I’d probably chuck this in my bag if I was travelling, but if I’m heading out from the house at night, it would be the 5.5 every time, as it’s just so darn bright. And that’s the whole point of a light, right? EDIT: Knog just got in touch to tell me that you can win a Blinder Arc and a Bouncer lock, just follow this link to try your luck.